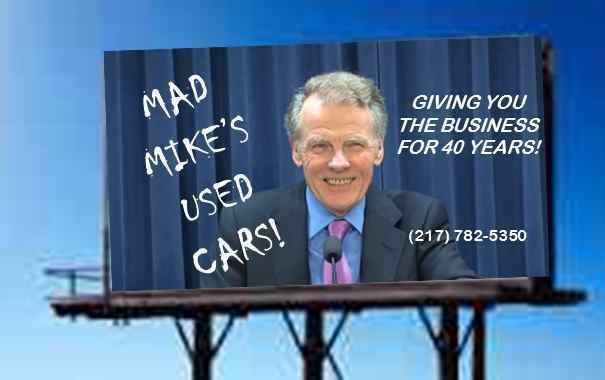 Speaker Mike Madigan held a press conference yesterday and addressed Governor Rauner’s latest ad blitz in support of his “Turnaround Agenda”, the point of which was to label the ads as “extreme”. “Everybody needs to be reasonable, and not operate in the ‘extreme,'” Madigan said. And if the reporters didn’t listen carefully…he used several terms numerous times to emphasize the point…According to our count, during the 20 minute press conference, the Speaker used the term “moderation” 11 times, the term “reasonable” 10 times, “extreme” to describe the governor 16 times, and “non-budget issues” 13 times. To hear him talk, you’d think that he’s had nothing to do with the condition that Illinois finds itself in, and that his sole reason for living is to serve as the honest broker, bringing everyone together. Mike Madigan doesn’t seem to care so much about moderation if the issue is somebody he wants to see in elected positions he considers important to him. Fred Klonsky’s blog points out a 2014 mailer sent out by the Toni Berrios campaign for the 39th District House seat, accusing challenger Will Guzzardi of protecting child molestors. So when you hear the Speaker talk about moderation, remember who’s doing the talking. This entry was posted in Illinois Budget and tagged Bruce Rauner, Chicago Magazine, Fred Klonsky, Illinois Review, John Kass, Michael Madigan, The Ward Room. Bookmark the permalink.